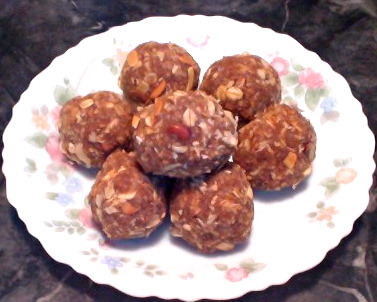 Coconut Sesame balls or Laddus are very nutritious and easy to make. No need to cook or bake them. 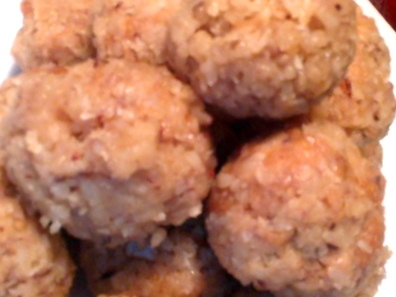 These are raw, vegan and gluten free. 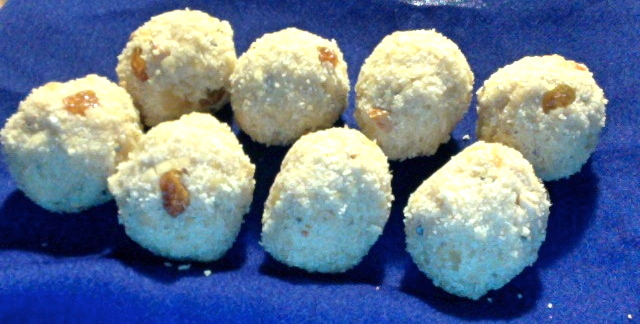 I call them snow balls because I roll them in dry coconut powder. Roast the sesame seeds on low medium flame. 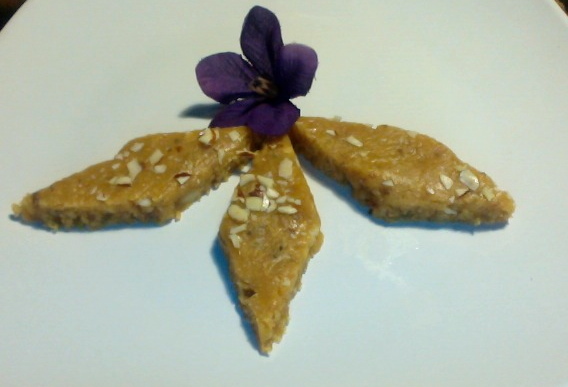 Grind the sesame seeds first and keep them aside. Then grind coconut and dates. You may grind them finely or roughly depending on how you like. Then add sesame seeds powder and grind them again until it forms like a dough. 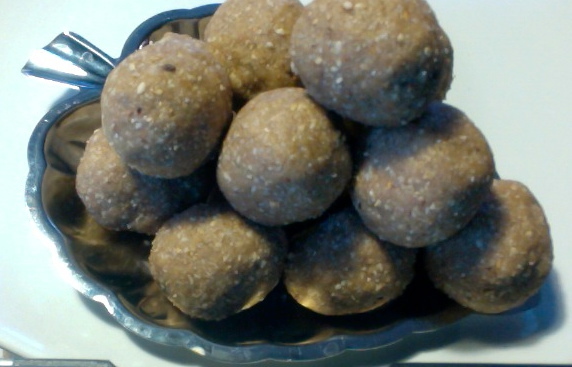 Take it out into a bowl and make lemon size balls and roll them in dry coconut powder.